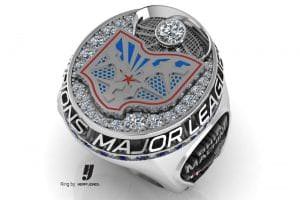 COLUMBUS, Ohio – The Ohio Machine officially unveiled their 2017 Major League Lacrosse Championship Ring this morning. 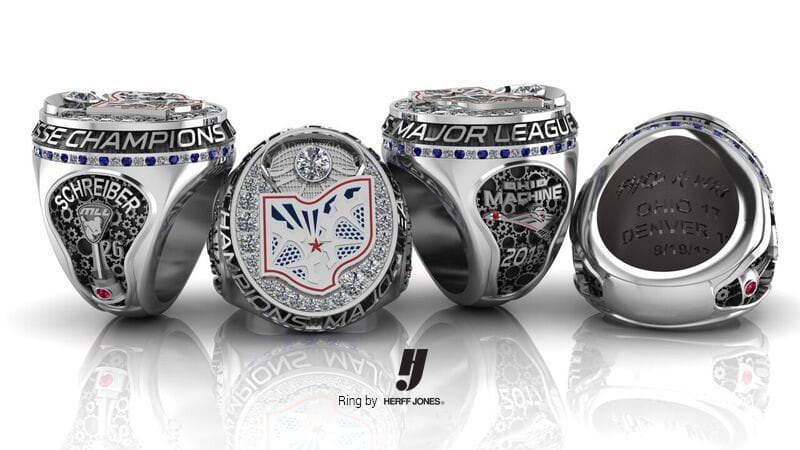 With creative input from Machine players, the ring was designed and crafted by Herff Jones, the official ring designer of Ohio Machine’s championship ring. 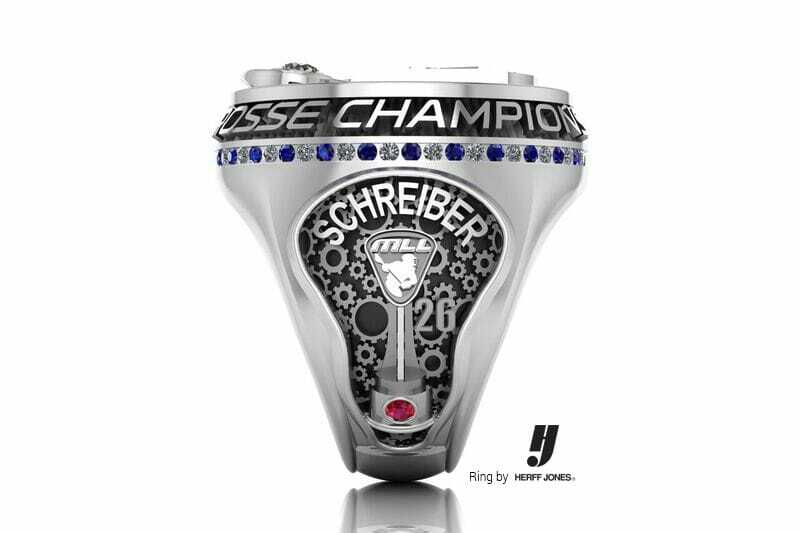 The championship ring features a uniquely lacrosse design. On the top of each ring, a lacrosse head is incorporated above the Ohio Machine logo, which contains a custom cut blue gemstone in the shape of Ohio. The lacrosse head is also featured on the sides of the ring which showcase players names and an image of the Major League Lacrosse Steinfield championship trophy. In addition to the stones on the face of the ring, a single gemstone on the side symbolizes the team’s first championship. In all, the ring features over two carats of stones. Herff Jones representatives will present the final ring design to the Machine players at a special pre-game on-field celebration prior to the 2018 season opener at Fortress Obetz on April 29. Fans that place a $25 deposit towards a 2018 Season Membership before December 15, 2017 will automatically be entered in a drawing for their chance to win an authentic, personalized 2017 Ohio Machine championship ring. Season deposits can be made by visiting the Ohio Machine ticket page or by calling 614.754.1973 ext. 2. The Ohio Machine is a professional lacrosse team based in Columbus, Ohio. The Machine is one of nine teams competing in Major League Lacrosse (MLL), the premier professional outdoor lacrosse league. The team has been competing in the MLL since 2012 and won the franchise’s first MLL Championship in 2017. The team competes at Fortress Obetz, the nation’s first professional lacrosse specific stadium. For more information on Ohio Machine lacrosse, please visit www.theohiomachine.com. Indianapolis-based Herff Jones is the leading provider of graduation and recognition products and services designed to inspire student achievement and create memorable experiences for young people. A division of Varsity Brands, Herff Jones’ products include class rings and jewelry, graduation regalia, yearbooks as well as motivation and recognition tools and resources. Focused on building long-term relationships through a nationwide network of over 2,000 employees and independent sales representatives, the professionals at Herff Jones have been helping elevate the student experience and celebrate academic milestones since 1920. For more information about Herff Jones or Varsity Brands, please visit www.herffjones.com or www.varsitybrands.com.